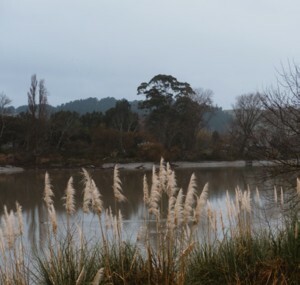 Hawke’s Bay’s northernmost town and service centre is tucked within the crook of the ‘long, bubbling, swirling, uneven waters’ of the Wairoa River on fertile lands beside the sea. One hundred years ago, it was an arduous three-day journey from Napier. The town has a superb 8km river walkway from the historic lighthouse at the bridge to Whakamahia Beach. Information plaques mark Wairoa’s rich stories and create a palpable trace of the past. There are five pā sites to peruse, while the CBD riverfront showcases some interesting old buildings, from the Italianate façade of the museum (originally a bank, 1915) to the art deco Gaiety Theatre. Across from the former post office, an intriguing white plinth, erected by the Government in 1867, commemorates Pitiera Kopu, “staunch friend of the Pakeha”, in both English and Māori. This was a period of local tensions, between the war of 1865-6 and the arrival (1868) of Te Kooti and his allies. Europeans first came to Wairoa in the 1820s – flax traders, then whalers and Christian missionaries. 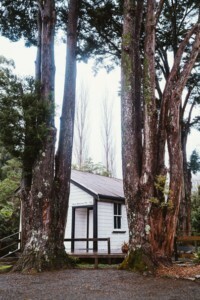 Many married into Māori communities. But up until the 1860s, the settlement (founded around 800 years ago) was manifestly Māori in its population, land ownership and sovereign rights. Kopu was one of the chiefs that signed the sale of land to the Crown to form the Wairoa township in 1864. At the same time the Pai Mārire (Māori resistance movement) took hold, and Wairoa (then known as Clyde) became a colonial garrison. In retribution for the war that broke out, further tracts of land were ‘ceded’ to the Crown – Kopu died a week after signing the peace agreement. After the recent rains, Te Wairoa is running brown and on a grey morning, with the tide out, has dropped to reveal the little wooden piers that jut out. Across the river on the north side, you can see the remnants of the former Flaxmill Wharf, a reminder that the township was originally dependent on shipping to transport freight. You can also catch a whiff of the freezing works, operating there since 1917. 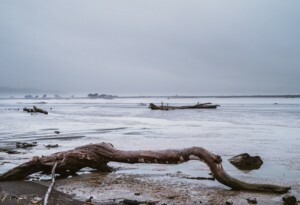 Where the river opens out towards the sea, large twisted tree trunks lie upended like beached whales or shipwrecks. Beyond the Whakamahia Lagoons you can see the narrow passage where ships indeed did wreck and where, despite every effort, the untamable sandbar (and the opening of the railway in the 1930s) put an end to Wairoa’s port. Oral tradition tells of the arrival of the Tākitimu Waka at Whakamahia Beach, where Ruawharo is said to have spread sand from the ancestral home of Hawaiki. Today the black-sand beach, a picture of rugged coastal beauty, is popular for picnics, fishing and space-launch viewing, too dangerous though to swim. Heading east, the coast from Wairoa to Nuhaka is extraordinarily textured. On one side of the road, paddocks filled with maize stubble, the last of the squash, stretch out on a horizontal plain to meet the smooth mirror flat of Lake Whakakī (the largest freshwater lagoon on the East Coast) and beyond the dunes the open sea. To the west, the green earth, thrust steeply upward, forms crushed-velvet peaks and crisp falling folds. Near Whakakī look out for seven mounded hills with their ‘wrinkles of skin’ – Iwitea and Tuhara can be clearly seen beached in the wetlands, two of seven whales, as legend has it, transfixed by sunlight into hills. 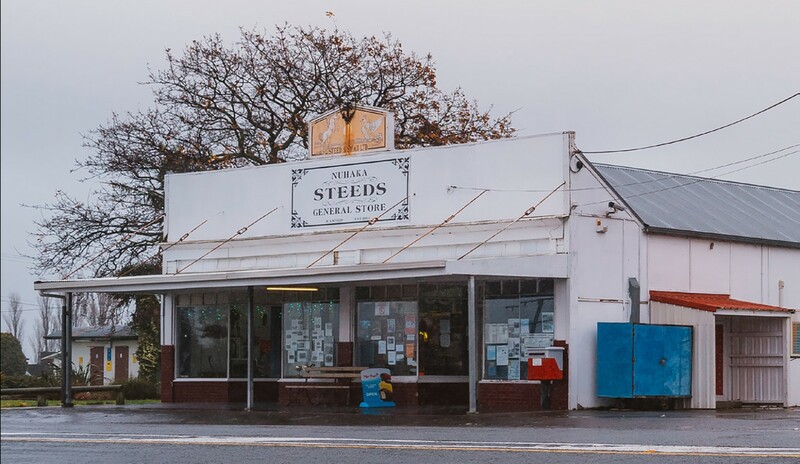 At the juncture to Mahia Peninsula sits tiny Nuhaka with its legendary fish shop, historic general store and the meeting house at Kahungunu Marae, built and carved under master tutelage by World War II veterans in the late 1940s. 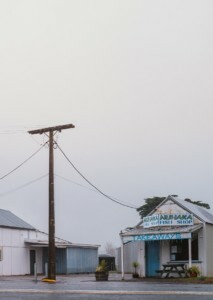 Places like these, and Morere 5 km up the road, once thrived on their remoteness and difficult terrain, with their own industries (a dairy factory at Nuhaka), bustling shops, a lively holiday trade. Nowadays they appear unassuming, but they’re rich with story, Māori culture and rural resilience. Morere Hot Springs is the reward in all this tiki-touring: ancient sea water bubbling up from the ground through a fractured faultline. Known by the locals – Ngāti Rakaipaaka – as the ‘waters of the gods’ and used for therapeutic purposes for centuries, these mineral-rich thermal springs were ‘discovered’ in the 1880s and made into a thermal reserve in 1895. A hotel followed two years later. All that remains now of the settlement that grew up around it are the tearooms and camping ground across the road and the little one-room school house. Thankfully, the springs are what protected the 364 hectares of lush lowland rainforest they sit within (one of the last remaining and the largest tract on the East Coast); the surrounding land was cleared for agriculture. 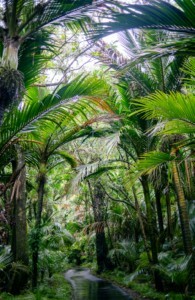 If you walk one of the longer tracks, as well as exploring virgin ‘jungle’ with its dramatic nikau palms, pukatea and kohekohe, you can ascend through an utterly different forest of black beech and maire on the steep back ridges to look out to the coast. Emerging from under the dripping rainforest canopy, soft-skinned and a little giddy after soaking in 35 C healing water, it’s something of a shock to take in the raw nakedness of the pastoral landscape, much of it too steep to farm, most of it once cloaked in vegetation that now feels exotic.